Artist Tasman Richaardson's "Necropolis" is a multi-media installation that consists of six audio/video works housed within a twisting, darkened structure. (It was on view at at the Museum of Canadian Contermporary Art between February 4 - April 1, 2012.) You immerse yourself into the structure and confront each of the works after a short yet, at times, unnerving walk in pitch black. The visual images and audio speak to the haunting effect video can have on us in the present and in our memories. 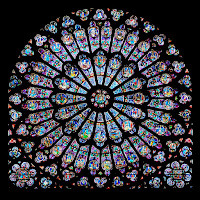 Memorial takes its form from the stained glass found in the rose windows of Gothic cathedrals in France. 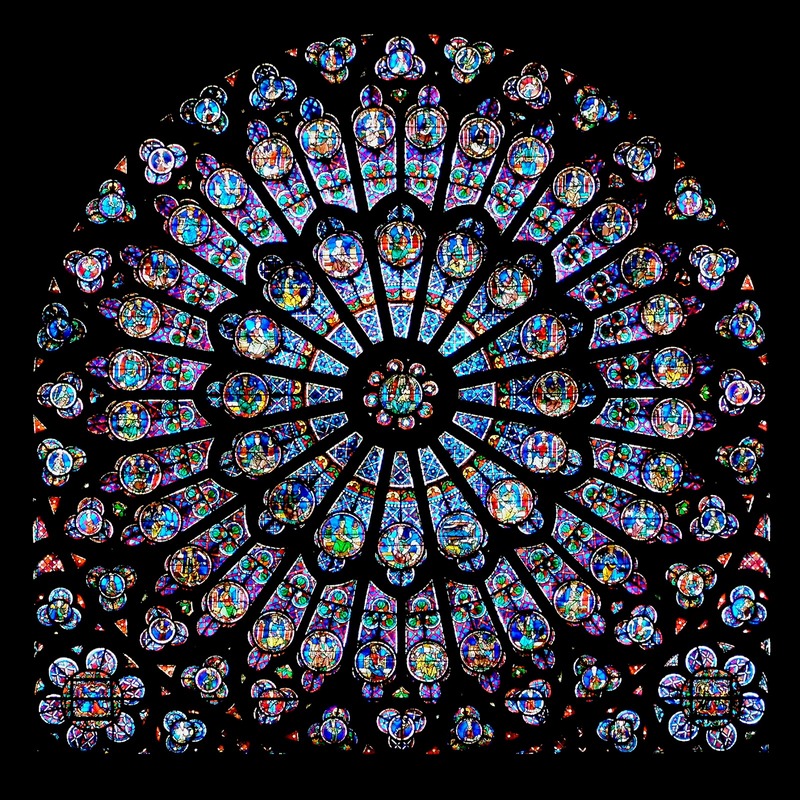 It's indeed strikingly beautiful as a whole, but a closer look shows that each opening has an edited video fragment of Joan of Arc from the four film adaptations of her life. In the centre, there's a reminder of her violent death. The combination of darkness and strobing imagery makes Richardson's "Necropolis" the kind of work that makes the heart race. It has the power to compel us to mediate upon the lingering and haunting effect of images that surround us whether they're abstract, terrifying or sublime.